1 Story, 3 Bedroom, 2 Bath, Study with French Doors, Fireplace, Dual Vanities in Master Bath, Separate Garden Tub and Shower, Ceramic Tile in Family Room and All Wet Areas, Granite Kitchen Countertops, Stainless Undermount Sink and Pull Out Faucet, Premium Lighting Package, 42 Upper Kitchen Cabinets, Kitchen Island, Upgraded Stainless Steel Appliances, Full Font Gutters, Covered Patio, Sod in Front and Backyard, Irrigation System, Garage Door Opener, Brick Back of Home, Tech Shield Roof, Environments for Living Home, plus more...AVAILABLE APRIL. Directions: Highway 59 South, exit Reading Rd. & turn left. Turn right at FM 2977. Left into Walnut Creek on Irby Cobb Blvd. Turn right on Benton Rd. Left on Walnut Manor Dr. 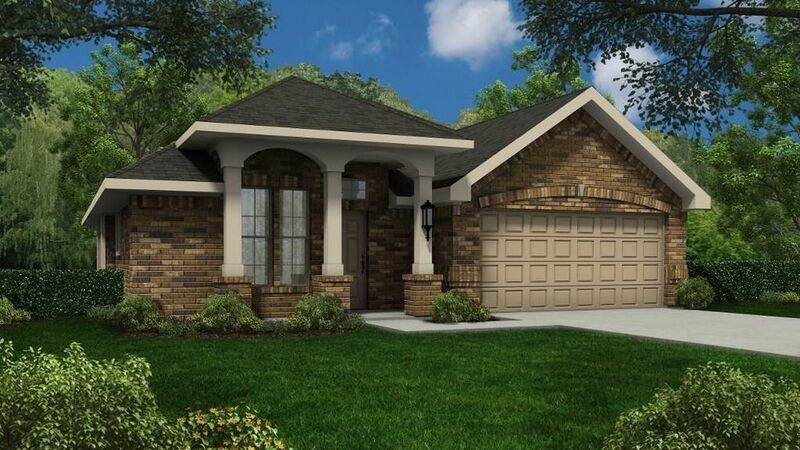 Right on Laurel Shadows Ln., Model is located to the left at 7323 Creekside Terrace.